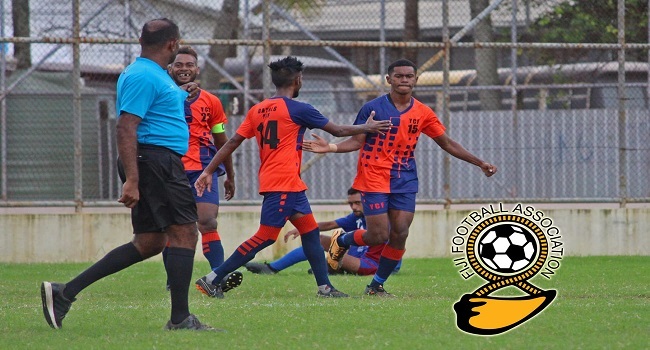 Yalalevu football club of Ba continues its impressive form at the Vodafone National Club Championship as they remain undefeated after two rounds of pool games at Fiji FA Academy ground in Vatuwaqa, Suva. The side defeated a star studded FC City United of Lautoka by 2-nil in the pool match. In the other matches played yesterday, Friends FC of Nasinu beat Bureta 2-1, Kasavu thumped Combine 12-nil and Nailaga beat defending champions Blues 2-nil. In the last round of pool matches today, Friends United plays Nailaga FC at 10am, Kasavu faces Yalalevu at 12pm FC United City meets Combine Brothers at 2pm and Blues battles it out with Bureta at 4pm.